I read three amazing books this month. I also chewed through some Young Adult fiction, and a sobering novel on climate change. James Bradley‘s new novel Clade is an ambitious exploration of climate change, one of those rare books that has been embraced by both the literary world (it is beautifully written) and the science-fiction community (it is set, for the most part, in an imagined future). Though I loved the ideas, the massive time span it covered reduced it to a series of episodes, rather than a continuous narrative, and I was frustrated by not being able to get to know the characters better. Still, some of the episodes it depicted were striking and memorable and it had much that interested me overall. I’ve been on a little YA fiction binge lately. 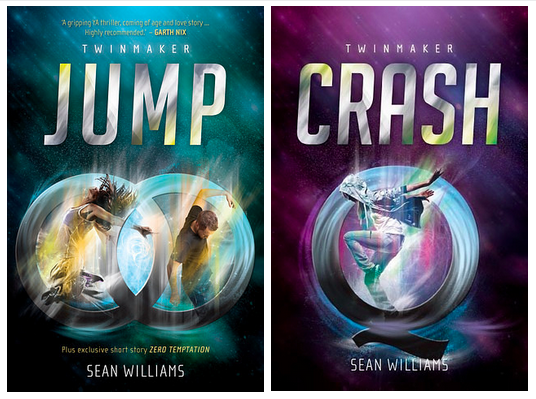 I was lucky enough to be on a panel at Perth Writers Festival with bestselling science-fiction writer Sean Williams, and I absolutely ripped through the first two books in his Twinmaker Series Jump and Crash. They were a great deal more complex and intelligent than the average YA action thriller, with an original and exciting premise, and I enjoyed them immensely. Joelle Charbonneau’s The Testing was extremely formulaic and blatantly derivative of The Hunger Games but it was exactly what I was in the mood for and I read it in two sittings. Jenny Offil‘s novella Dept of Speculation is a portrait of marriage and motherhood, told as a series of gorgeously written and heart-rending snippets. I’m very interested in how writers choose to depict these things at the moment because those are the subjects of my work-in-progress, Self/Help. Alright, I know I am a little late to this because Donna Tartt’s The Goldfinch was the book everyone and their dog was talking about twelve months ago. I put it off because I wasn’t a fan of Tartt’s previous novels, The Little Friend and The Secret History, but also because it was so damn big. But when I finally got to it I was enthralled from the first scene. I loved the voice, the flawed protagonist and the exploration of family, fate, love, art and addiction – what a potent mixture. It felt unbearable when I had to put it down and I was quite lost when I finished, so immersed had I been in Theo’s world. I have heard lots of people say The Book of Strange New Things by Michel Faber was slow, or flat or even just downright boring. But I was completely gripped by every aspect of it. It tells the story of Peter, a Christian missionary (I know, it sounds offputting, but read on) who travels to another planet (cool, hey?) to teach the word of God to an alien race. If you’re thinking, I’m not a Christian and I don’t like science-fiction, hold up, because it’s really a book about relationships. Peter’s interactions with his wife back on Earth, his oddball colleagues in the colony, and the aliens themselves are so funny, and also so strangely touching. It is really a wonderful book. Your turn: what good things have you read this month? 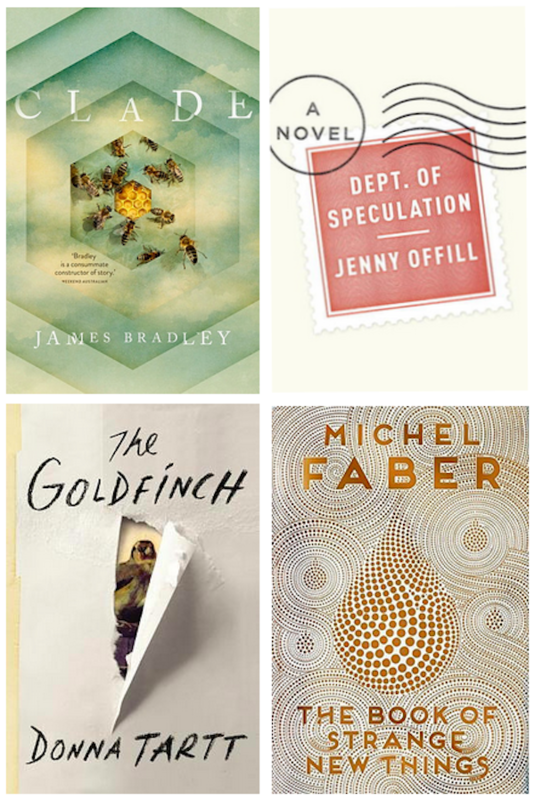 We have crossover: I also read – and LOVED – Dept of Speculation. I kind of wish I owned it (I borrowed it from the library) as it feels like a book worth reading over and over (if, say, you had time for such luxuries). And I read – on your recommendation – The Rosie Project – and had a damn fine time doing so. A lot of my reading seems to be done for reasons of self-improvement, and it was great to read something I was reading just to enjoy and to enjoy it so much. It’s good fun. The other big hit for me this month was J Robert Lennon’s collection, See you in paradise. Weird, sad and funny – if you like George Saunders or Etgar Keret, have a look at Lennon. I also liked Alice Robinson’s debut Anchor Point – a stark drama about our relationship with the land (and climate change) – and Trevor Shearston’s novel of Ben Hall, Game. Gave up on George Turner’s cli-fi classic, The Sea & Summer. And now I’m reading Vassily Grossman’s Life & Fate which is freaking epic and brilliant and despite having pretty much no plot, is gripping. You’re so right about the rarity of reading just for entertainment. 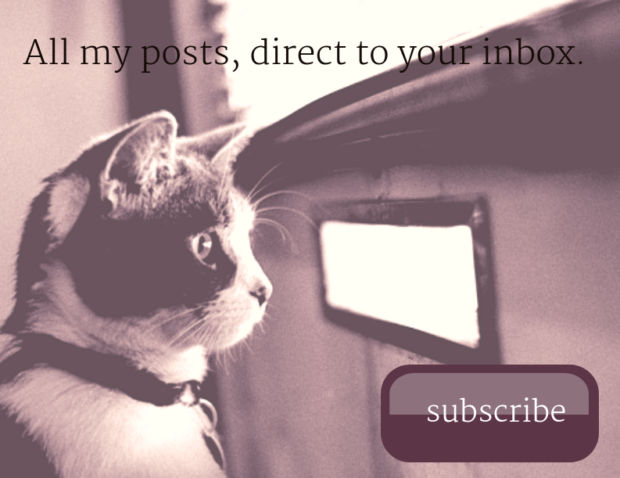 I do YA spec fic for that – although much of it ends up just irritating me. I also got Dept of Speculation from the library – and like you feel it’s one I’d like to revisit – but then, life is short and I might never get round to it! I’m generally pretty allergic to short stories but hearing a lot about Anchor Point – will have to check that out. What was wrong with The Sea & Summer for you? I have that on my TBR. The premise of Sea & the Summer was great – a future society divided into the mass of unemployed and the few with jobs, their numbers getting smaller as computers advanced, the waters creeping in as the Poles melted – and I loved that it was set right near where I live. But it had a very old-timey sci-fi voice, narrated from on-high by a stern god. And the characters all thought and spoke exactly the same way. So I got bored. Oh I know excatly what you mean. That is often what irritates me about old sci-fi. And the sexism! So glad you liked the Faber and the Tartt as I have both of those books on my tbr and I’m feeling a little intimidated by their size. 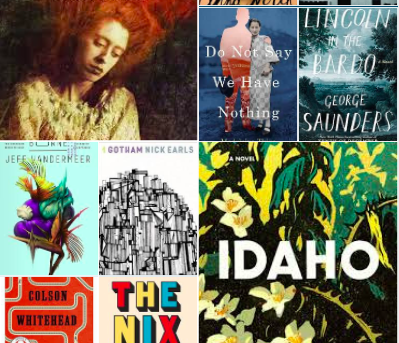 This month’s reads have include Wonder by RJ Palacio which was “wonderful”, The Red Chief by Ion Idriess which was fascinating – a real eye-opener to indigenous culture prior to white settlement; and the Harp in the South (the second book in the trilogy). I am spreading out the Park trilogy as they are such treasures. It’s funny because I’m often hesitant to start large books, but once I get going, the size is not an issue. In fact, if I’m really enjoying a book, I want it to last as long as possible. I haven’t heard of Wonder or Red Chief. It’s nice to hear about some different books. Where do you go for reading recommendations? I get my book recommendations mainly from book blogs, although I found Ion Idriess in my library’s very limited selection of audio books. It’s nice how sometimes just a random grab at the library can turn out to be fantastic. Annabel, can I just say that I’m in awe of how much you read each month. I don’t know how you find the time to write books and blog regularly, yet still read so voraciously. Please tell me the secret. 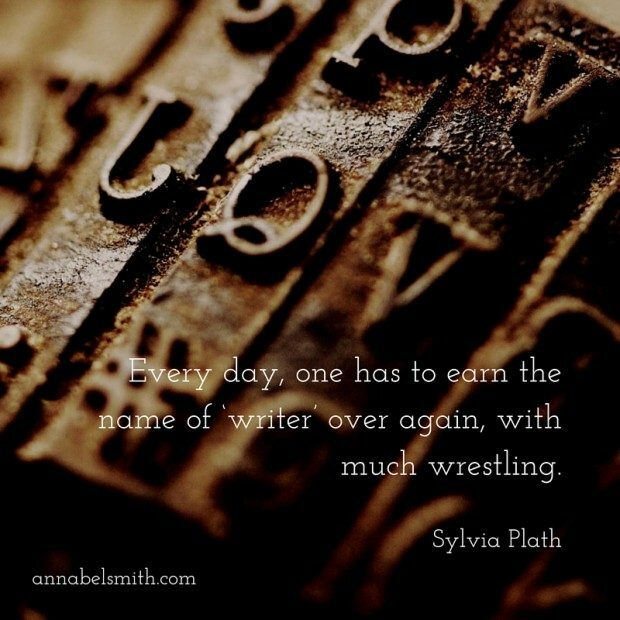 Do you have a special reading time each day, or do you reward yourself with a read if you’ve written a certain number of words? How do you do it? I read in the evenings when my son is in bed. If I’m really into a book I stay up too late! I am a fast reader so that helps. The stand out book for me this month was Rose Under Fire by Elizabeth Wein which is a “sequel” (in the sense it has a shared character) to Code Name Verity. They are both set in WW2 and tell the stories of women’s involvement in the war, especially as pilots. Special mentions are What Alice Forgot by Liane Moriarty and My Real Children by Jo Walton. I also read three of Mary Robinette Kowal’s Glamourist Histories which can be best described as Jane Austen with magic. I haven’t heard of either of those series – it’s great to see more and more stories about women in the wars though.